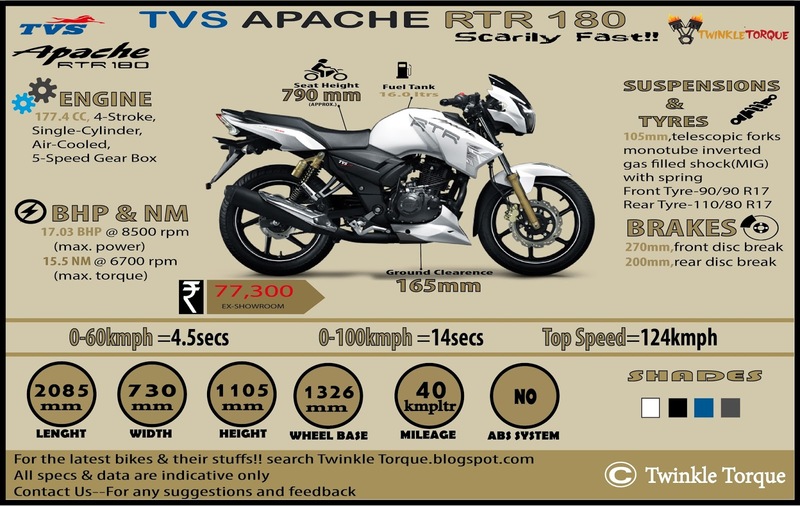 The TVS Apache RTR 180 is one the best naked bike and a small displacement performance bike offering from TVS Motor Company and has been developed keeping the global racing culture in mind. The TVS Apache RTR 180 is born from the race track and The bike looks very aggressive due to its sharp design elements and gets LED light with pilot lamps. The tank, engine and tail cowls get aerodynamic race designs and even temperature of engine is decreased by 10degree Celsius . The instrument console gets blue back-light along with speedometer and tachometer and sporty carbon fibre finish. Hero MotoCorp Confirms Launch Of New Motorcycle, Could it be Hastur..!? Or Xtreme 200S, HX250R, XF3R?